This strain was discovered while on a trip to Spain in 2003. While there I had the pleasure to try some truely unique tasting marijuana and to my delight was able to obtain a few seeds. A year or two later we germinated the seeds along with others from my travels and the results were amazing. After selecting the best examples and crossing these back over one of our finest Indica's, Alegria was born. Fat dark green leaves and solid Xmas tree form, with a big top bud. Sublime taste unlike anything you've tasted before. Lovely sunny strong up high, with a long steady plateau. Alegria........ the taste of Spain! 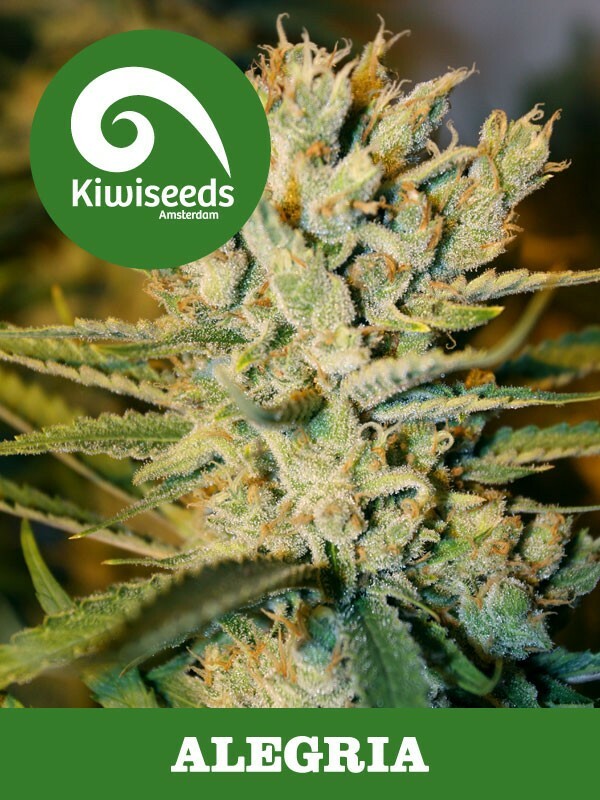 Now available, the best of these genetics in Regular seeds, what better way to make the ideal strain than breeding the best of the best into your favourite variety? That is now possible thanks to our strains being available in Regular seeds too!